Remember way back in 2013 when I decided that I needed more color in my backyard?! I loved that sweet little house (Emma was born there)! Well...after that, the rainbow fence followed us to the farm and welcomed our guests at the gate. After the farm, it moved up to the mountains and sat next to our hot tub for 2 years...offering a rainbow of happiness while we soaked our cares away. But NOW...it's found a new home! ...and it's being shaped and repurposed into it's new life. 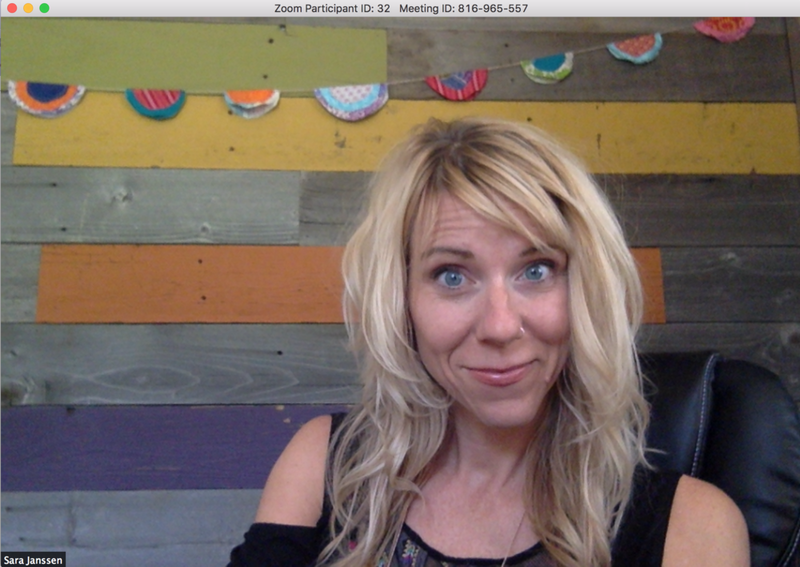 And now...if you're a part of our TRIBE, you'll see this pretty wall on our video calls! Just one more way to add some HAPPY to our life! Essential oils are scientifically proven to calm, soothe, and relieve anxious thoughts. They can also support deep sleep, relaxation, and lift feelings of overwhelm and stress. I KNOW that we all need a little bit of help in all of those areas! So today...I'm going to tell you all about my 10 favorite blends for peace, love, and happiness! But first...let's find out why rollerballs are so awesome. 1. Your oils last longer. You can create endless amounts of rollerballs with one bottle of oil. This is a great way to have one in your purse, one in the bathroom, one in the kitchen...you get the idea! 2. Your oils are super effective. Using oils "neat" or straight out of the bottle is effective, but not always the most desirable way to apply oils. Diluting your oils with a carrier oil (fractionated coconut oil, jojoba, etc.) actually keeps them on your skin longer and decreases the evaporation rate. 3. Your friends are happy. I LOVE giving rollerball blends as gifts! If someone has never used oils before, rollerballs demystify the process. Roll here, roll here, roll here. Easy peasy. They might think they are just smelling good...but the emotional and health benefits are endless! 4. Your life gets easier. Rollerballs make everything with oils easier. Put them in your bag and you're out the door. No messy oils on your hands while you're out and about and need a quick application. When your kiddos need oils NOW, you don't want to be opening 3-4 bottles of oil to apply. Rollerballs to the rescue! 5. Your family is empowered. I love rollerballs because they are highly diluted and very safe for kids. My girls (ages 3, 6, and 11) all have their own rollerballs that they carry with them. They use them for emotional support throughout the day...and when they feel themselves getting angry or upset, they know to reach for their oils. This helps them become very aware of their feelings and how their needs shift during the day. I love that they are empowered to take action on their own. They also each have their own rollers for bedtime. Don't forget that all of these recipes also work perfectly in a diffuser (which is the perfect compliment to topical use for emotional support! Just use about half of the amount recommended. This is my girls' favorite blend...it was named after our favorite Disney movie! They use it primarily for meltdown mode. And I use it for my mommy meltdowns too. ;-) I LOVE this blend to support healthy sleep as well. This is the rollerball I made for a dear friend when she was going on a LONG roadtrip alone with 3 young kids. And she came back a total believer! I can't imagine our evening routine without oils! The smells of the oils create familiarity for them, and it allows me to have a really special connection time with each girl as I give them their foot and back massage with oils. We love to layer the effects and take a bath with these oils, and then diffuse them all night. This blend does exactly what it says...it's SUPER calming and focusing and brings feelings of peace and presence in the moment. This is the perfect blend for prayer time and yoga practice! Oh my goodness. Only 3 oils...but boy does it pack a punch! Melissa is one of the most rare essential oils available...and it's benefits are powerful! It not only supports the immune system but it clears out feelings of overwhelm and hopelessness quickly. It's the oil of LIGHT and it helps to chase away those dark days. Frankincense is the KING of all the oils. It's perfect for spiritual enlightenment...as well as releasing anxious thoughts and feelings. And patchouli...oh patchouli. You'll notice that it's in LOTS of blends here! Be sure to check out my Periscope about why EVERYONE should be wearing patchouli! It's calming and grounding and helps the person using it see themselves as worthy. Peace, love, and happiness...and a little everyday magic! This blend is heavy on the CITRUS oils, which are immediately uplifting for the mood and spirit. Again, frank and patchouli...and then the addition of peppermint gives a nice little "kick". This blend is the perfect way to start your day! Because...HAPPINESS! This blend is calming and uplifting at the same time! The cedarwood has a woodsy, earthy scent and is super grounding. The wild orange boosts mood and creates a sweetness to the blend. Frank and lavender are calming and help release anxious thoughts. Perfect blend for settling in for the evening. This is a powerful blend...and it created to release feelings of anger and frustration. The basil in this blend supports the adrenals and helps to restore the body to it's natural rhythms of sleep, activity, and rest. We've talked about all of these other oils...so you can see how intensely CALMING this blend is! Have you ever had a beautiful...LONG day in the sun? I know I have. It's times like these that I am SO thankful for essential oils. If I've had a lot of fun in the sun, I immediately put on this blend and it is so soothing! You can also put this blend in a spray bottle and it's an easy way to apply. I'd love it if you would PIN your favorite blends on Pinterest! If you hover over the photo, it will pop up a Pinterest icon for easy pinning! You can also re-pin this collage of photos from my wall! Thanks so much for spreading the word! If you are already using oils...post your favorite blend in the comments! It's Friday! Good Friday to be exact. We've been settled near Vero Beach, Florida for the past 3 weeks...the girls all found friends their age there. Fellow homeschoolers. Every day they would ride bikes together, play hide and seek, swim for hours, and peruse the store for candy. They also found some "adopted grandparents" who would do crafts with them and bring them little gifts. Sweet deal. I'm always so thankful for these connections! Now we're headed down to the Keys! We've got our snorkel gear and our sunscreen and we're ready to roll. I am particularly interested in paddleboarding. I paddleboarded for the first time in Vero and I can't stop thinking about it. Must.Go.Again. So that will be one of the first pieces of equipment I find there...along with perusing this site. 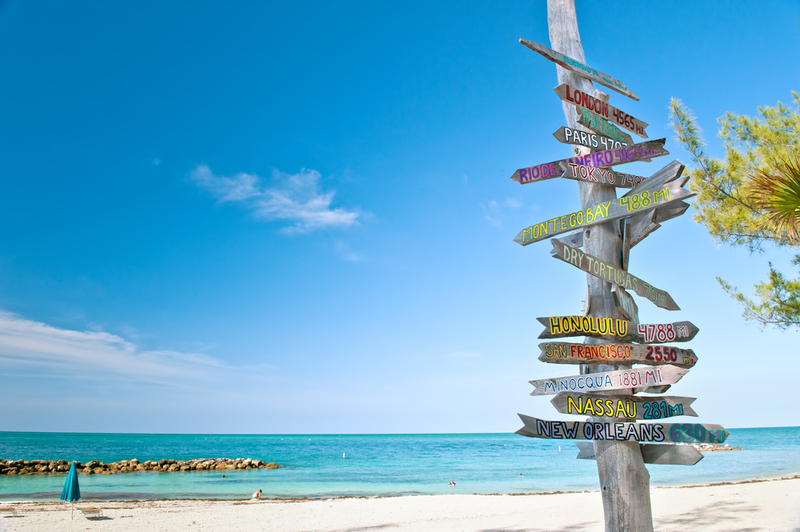 If you've paddleboarded in the keys...where is your favorite spot? My friend Sarah at Kith & Kin. If you're looking for an "investment" bag...one that is going to last and last and one that you will SWOON over when you hold it for the first time...this is IT. These are straight up handmade deliciousness. I have one of the bigger overnight bags, but this one is next on my list for sure. The perfect day tote (don't let it fool you with the diaper bag assignment...it would be awesome for anyone!) Love that you can customize the fabric swatch. Dreamy. I'm totally loving Pocket Fuel. Their Easter series is awesome. Super cute gypsy-esque clothes and house stuff. This is where I get some of my sweet flags. And mugs. And art. And shirts. And scarves.. I love A Cup of Jo's house tours (and the whole rest of it. she's awesome). But this one is super dreamy. Are you a handwriting geek? Be sure to check out Lettergirl's Etsy shop. And her free practice worksheet! I've started Periscoping! Check out my archived scopes here. And lastly...don't forget to click over to my oil page for the rainbow-tastic freebie I'm giving away to those who want to get started with oils. I do personalized consultations if you need help with specific health concerns! I'd love to hear about your favorite restaurants in the keys too...specifically seafood places. Yum yum. Hope you all have a restful and introspective EASTER weekend...celebrating the FREEDOM that Jesus gave us when he took on all of our sins and paid the price ONCE and for all. So thankful.